First Appearance: Daring Mystery Comics #2 (Timely, February 1940). History: Having become rich as a sportsman, Victor Jay decided he wanted to try another career. Donning a cape and domino mask, he became the crimefighter, Mr.E. 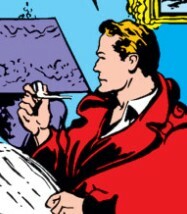 His recurring nemesis was the Vampire, a rogue scientist who used a gas which could cause people's hearts to explode. 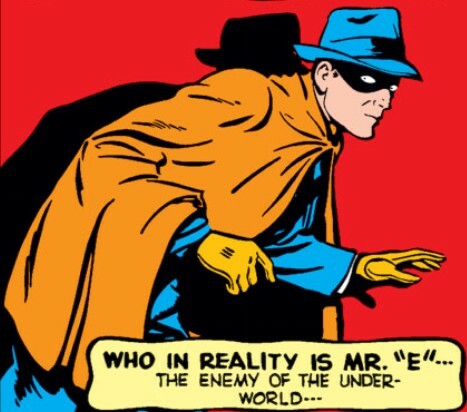 Mr. E took part in the Allied invasion of occupied Europe, but alongside other heroes was captured by the Germans and placed in suspended animation. He has recently been revived. 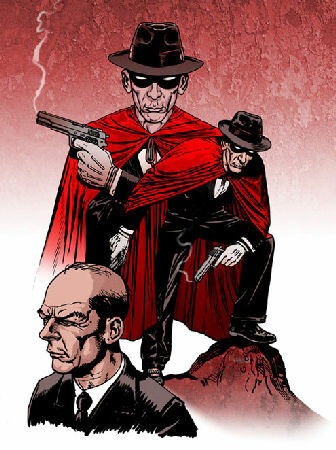 Mr. E is due to be revived soon as part of the new Marvel mini-series "The Twelve" by J. Michael Straczynski.